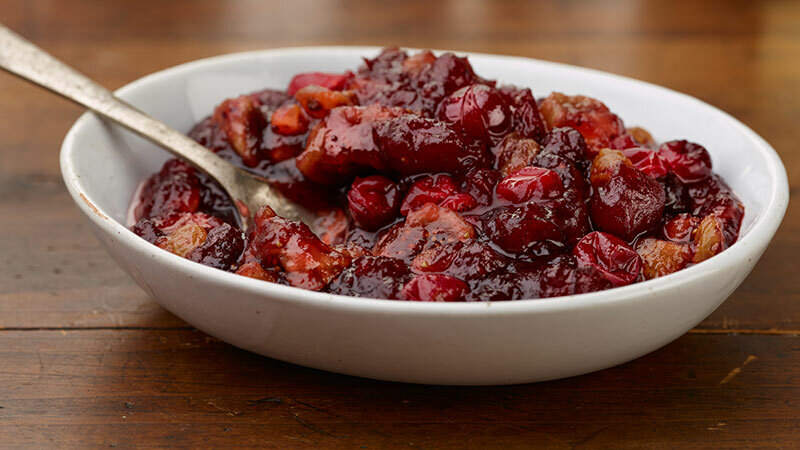 This is a conglomerate of two recipes: Cranberry Fig Chutney and Beets. The two go surprisingly well together. The chutney gives the beets a bit of sweetness and Pinot Noir flavors that soak up the earthiness of the beet. The recipe for the chutney comes from Epicurious.com who copied it from Bobby Flay’s Bar American Cookbook. I of course added our wine to the recipe! The beet recipe is my own. 1. Bring the wine to a simmer in a small saucepan. Remove from the heat, add the figs, and let soak until soft, about 30 minutes. Drain, reserving the wine and figs separately. 2. Combine the sugar, 1 1/2 cups water, the reserved wine, orange zest, and ginger in a large saucepan and bring to a boil over high heat. Cook until the sugar has completely melted, a minute or two. Add half of the cranberries and cook, stirring occasionally, until the berries have popped and are very soft, about 10 minutes. Stir in the remaining cranberries and the soaked figs and cook for 5 minutes longer. Season lightly with salt and pepper. 3. Discard the orange zest and scrape the chutney into a serving bowl. Serve at room temperature or chilled. The chutney can be prepared 24 hours in advance and stored covered in the refrigerator. 1. Boil beets until tender, about 1/2 hour. 2. Reserve liquid to add to your breakfast shake. Mix the beets with the Balsamic vinegar, chutney and red onions. 4. When serving, drop a few blue cheese crumbles over the top.